Lack of Sleep Could Actually Make You Sick! A team of researchers from the University of California, San Francisco, Carnegie Mellon University, and the University of Pittsburgh Medical Center recruited a group of volunteers and measured their sleep habits for a week and then exposed them to the common cold virus. The research team found that participants who slept less than six hours on average per night were more than four times as likely to develop the cold. The National Sleep Foundation estimates that 20 percent of Americans get less than six hours of sleep a night. It’s no wonder that the Centers for Disease Control and Prevention consider lack of sleep to be a public health epidemic in the United States. 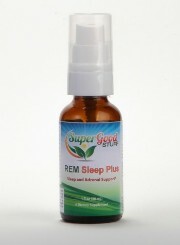 If you need help getting some sweet shut-eye, consider trying REM Sleep Plus, a formula designed to help you enjoy deep and healthy sleep without next-day drowsiness. We put just enough melatonin and 5-HTP to relax you and make you drowsy while the Adrenal Cortex helps your body to repair your adrenals while you sleep.